Kocho Racin (Kosta Apostolov Solev) is one of the most prominent Macedonian poets and revolutionary that lived a relatively short life (1908-1943) but made a great impact on the development of Macedonian literature. His most famous work is the poem collection White Dawns that sold in more than 4,000 copies not just in Macedonia but in the surrounding region as well. The Memorial House is the actual house of Kocho Racin who was born in Veles. 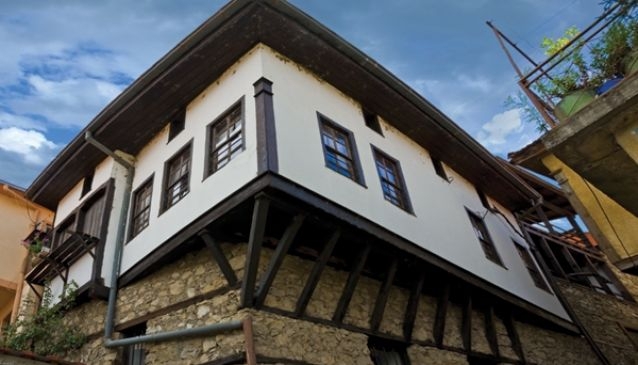 The house has two floors of which the first is built with stone and the second has a traditional white facade built in traditional Macedonian architecture. Besides living quarters the house also has a pottery workshop and a bakery. Throughout the house the visitors can see original manuscripts written by Racin himself and many items used during his life.